For all you Star Wars fans out there, Disney recently announced that the one-night special event Star Wars: Galactic Nights will be returning to Disney’s Hollywood Studios on May 27th. For those that are unfamiliar with the event, Star Wars: Galactic Nights is an exciting Star Wars-themed event held at Disney’s Hollywood Studios after park hours, 7 PM to Midnight. The event celebrates all that is Star Wars with themed entertainment, special photo opportunities, event-exclusive merchandise along with food and beverage, and of course encounters with rarely seen characters that guests can only experience during this special hard ticketed event. Star Wars: Galactic Destinations Projections Transform The Hollywood Tower Hotel– Visible on the Sunset Boulevard area of the park the facade of the Hollywood Tower Hotel will transform via stunning projection technology to showcase familiar locations from across the galaxy. Favorite film moments, special effects, lighting, and of course the stellar Star Warscinematic score supports each galactic location moment all night long. Star Wars Galactic Destinations is currently an event exclusive. Existing Star Wars Entertainment Will Debut New Enhancements – The park’s existing Star Wars: A Galactic Spectacular fireworks and the Star Wars: A Galaxy Far, Far Away stage show will both debut new saga elements for the first time during Star Wars: Galactic Nights. Character Encounters – Expect to encounter Star Wars characters from throughout the galaxy. 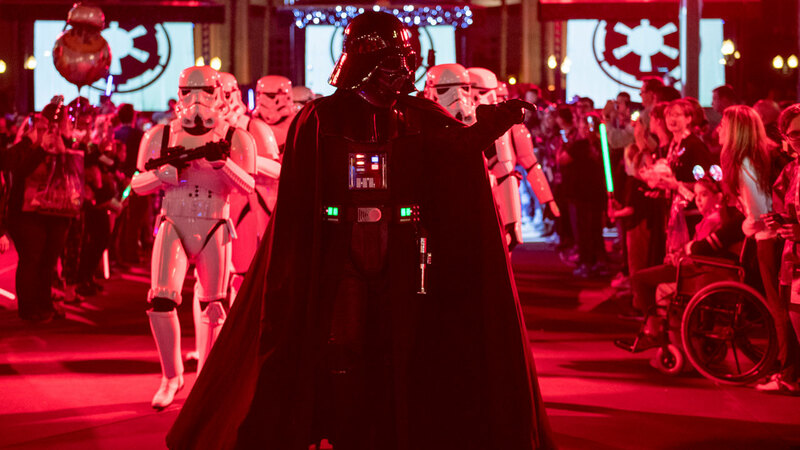 Guests will also be able to view an Imperial Stormtrooper March with Darth Vader. Exclusive Food & Beverage offerings – Taste your way around the galaxy with specialty food and beverage offerings created for Galactic Nights. Inspired by the stories and iconic characters of Star Wars, these tasting-sized sips and bites bring a delectable addition to this event. Enjoy park attractions – Select attractions will be open to all guests – and some may even offer a special Star Wars twist on May 27 only. Did anyone else notice that this last point is very close to the release of Solo: A Star Wars Story? I wonder what guests will get to experience? This event is something that I’ve always wanted to do, but haven’t had the chance to. It sounds like a lot of fun. What I really like about this event is that it seems to have something for any Star Wars fan, from the guest just discovering Star Wars, the casual fan and including the die-hard Star Wars nerd…it has everything. I consider myself a Star Wars fan, though not an uber-fan. I love the movies and the attractions and experiences in the parks that are tied to Star Wars. If I could attend I’d love to experience the character encounters, but the things that excite me the most are the entertainment and the food…which is like an attraction…right? Are you going to this event? What excites you the most? Wow…I don’t know about you but that just doesn’t excite me much. When Disney and Lucasfilm announced this movie I was a excited because I thought there was so much potential for the story. 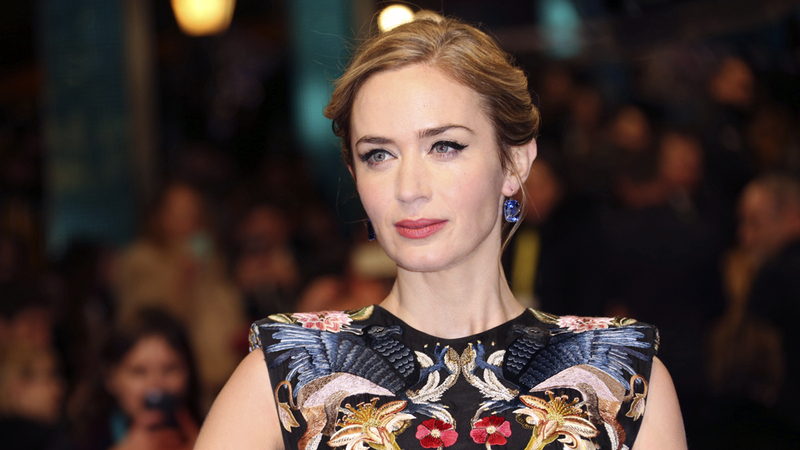 Then last summer, with less than a year before the film’s release the film’s directors Chris Miller and Phil Lord were fired, I got really nervous. Soon after that I felt a bit better when Lucasfilm hired director Ron Howard to take over the film. Since then we have not heard much of anything. We have not seen any stills or a trailer. Now, I can give Howard a bit of a break on some of this because I’m sure he’s been very busy with reshoots and editing to get the film done by the May 25th release date that Disney and Lucasfilm are sticking to. What we have gotten is a bland, vanilla synopsis that doesn’t appear to excite a lot of people. Yes, as Star Wars fans we’ve always wondered how Han and Chewie met and the history of Lando and Han. But I think we all were expecting or at least hoping for something more than the backstory of Han Solo. I’m really hoping that the synopsis is the backbone of the film’s story…and not THE story. 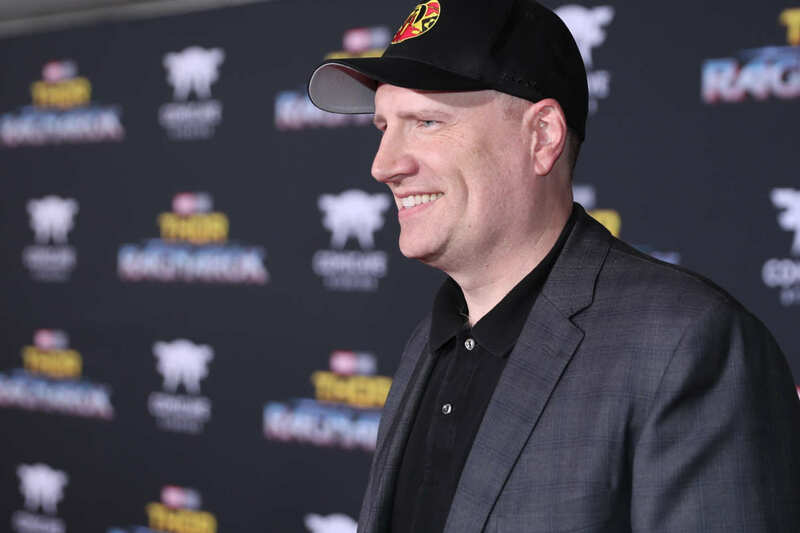 From what we’ve gotten, there’s potential for the movie to be good or it could be really bad. I don’t think I’m the only one that’s nervous about this movie. Of all of the movies Disney is releasing in 2018 this movie is the one I’m most curious about, the most hopeful about, and the most nervous about. At this point I’m not expecting great, but I am hoping for good….and that might be good enough for many fans. Though I’m not entirely confident about the idea that it will be good. That bad feeling I mentioned earlier? It’s a feeling of nervousness and unease. Going all the way back to the earliest movies, every great Hollywood story came with a great soundtrack that set the narrative and tone of the movie. Today Disney’s Hollywood Studios as part of the park’s redevelopment debuts it’s new background music throughout the park. As guests enter the Main Entrance to the park, guests will hear Big Band arrangements of the Disney Music that we all know and love. Along Hollywood Boulevard the background music shifts to Big Band instrumental arrangements of songs that were popular of the 1930’s and 1940’s. Music on Sunset Boulevard will compliment the music heard on Hollywood Boulevard with vocal arrangements similar to the Big Band hits guest heard there. Guests in the Echo Lake area will continue to hear Big Band music with bright, brassy horns and lush string arrangements. The music of each area will compliment the theme of the area. According to reports the Grand Avenue area guests will hear music that includes retro-contemporary west-coast funk with strong basslines, electric guitars, horns and synthesizers. The music in the Rock ‘n’ Roller Coaster courtyard will include live versions of classic rock songs, including of course Aerosmith. I’ve listened to some of the music and I have to say I love it. I always liked the previous background music of Disney’s Hollywood Studios, but I have to say that the Imagineers have created an even better mood and background theme with the new music. I think, based on what I’ve heard, that the music of the various areas do a better job of complimenting each other. I personally cannot wait until I can hear the new music live in the parks when I visit Walt Disney World in June. If you want to hear a sample of the music, I’ve provided a link below to the music from WDWMagic. The Christmas and New Years holidays are now over and the news in the Disney Community is a little slow, so how about we delve into the area of the movies and podcasts. If you are not already subscribed to Disney Magic Hour I suggest that you at least check it out and if you like it, please give it a 5-Star review and subscribe to it. I personally love this show. It is one of my favorite shows. If you are a fan of Disney movies along with the movie studios that fall under the Disney umbrella, this the show for you. Pete has also put together a great community page on Facebook. I was introduced to the show and the host, Peter Tedone, on the WDW Radio Show. This show, which publishes weekly, primarily focuses on Disney movies and timely discussion of Disney news. One of the more popular types of shows that they put out is the “Tournament Bracket” shows where Pete and the gang pit various themes/movies against each other to find the “best of”. 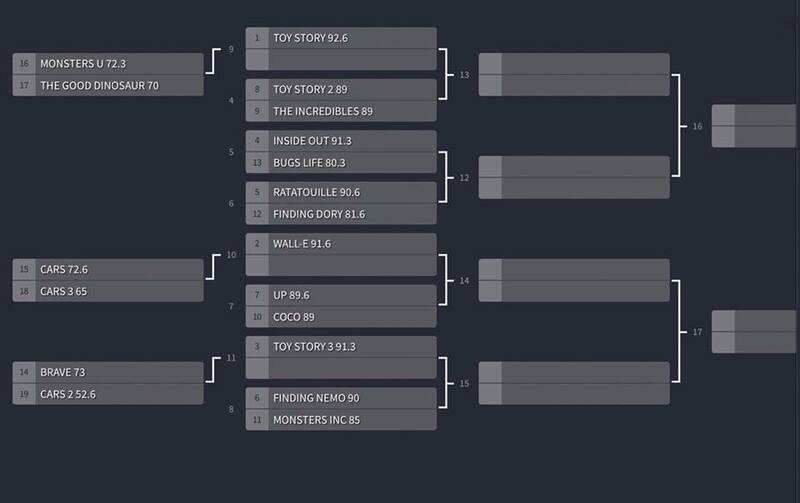 About a month ago, on Show 116 (December 3, 2017), Pete and the gang put together a PIXAR Bracket Tournament, pitting all of the Pixar movies against each other. On the show, the movie WALL-E was chosen as the winner of the tournament. While neither of these movies is a great movie (by Pixar standards) by any means and I do find Monsters University funny there are just too many plot holes in its connection to Monsters, Inc. for me to totally accept this movie. And….I do like The Good Dinosaur. It’s not Pixar’s best effort by any means, but I did like it. It’s a ‘Buddy Western’ set in the Jurassic Period. This movie gets my vote because I like it a bit better. This is a hard one for me since I like both of these movies. My nod goes to Cars because it was the original and without it we wouldn’t have Cars Land in Disney California Adventure. While Brave has its faults, the music is wonderful and the background art is gorgeous. I could go on about how this movie is better, but come on, we’re talking Cars 2 here. Is this even a contest? The Good Dinosaur is cute, but come on, we’re talking Toy Story here. This might be one of the hardest early round decisions. Both of these movies prior to this tournament are in my Top 5 Pixar movies. I really like both of these movies….a lot. I found Toy Story 2 to be very good. We get new toys introduced to the world of toys and we care about them. If you don’t well up a little during “Jesse’s Song” there might seriously be something wrong with you. With that being said, The Incredibles is a nearly a perfect superhero movie. Fans of this movie are finally going to get what we’ve been asking for thirteen years….a sequel. I guess that I just like The Incredibles more. Okay….this is also going to be a hard decision for me, but not for what you think. I’m not a huge fan of either movie. A Bugs Life has always ranked near the bottom of my list of Pixar movies. And I’ll openly admit here that I know I’m in the vast minority about Inside Out, but I thought it was only okay. It just didn’t appeal to me as much as it did for other people. Pixar really didn’t do anything in this movie that made me care for what happened to any of the characters. Even though I’m not crazy about either of these movies, Inside Out scratches out a victory here. While I enjoyed Finding Dory especially considering that it was a sequel to a movie (Finding Nemo) that wasn’t necessarily asking for a sequel. It was a cute movie. In Ratatouille Pixar got us to care about rats, and not just any rats, rats in a restaurant. This movie has also ranked high in my lists of favorite Pixar movies. I really liked Cars….I really did. I wasn’t sure going in whether I’d like it or not, but the more I watched it, them more I liked it. I also didn’t know what to expect going into WALL-E. WALL-E is on an entire different level. This movie has absolutely no dialogue for the first 20 minutes or so, yet you care about what’s going on. You care about a robot….and a cockroach. Even when the humans do show up in the movie you still care about the robots. This is a great movie. This match up is not really fair because I have not seen Coco. I’ve heard great things about the movie though. Up like WALL-E has a portion of the movie with no dialogue….only music that is wonderfully done. I loved Up and I have no doubt that I’d love Coco, but I have to go with Up because I’ve seen Coco. Once I see Coco the vote on this could change. Toy Story 3 very well could be the best movie of the Toy Story franchise. It wraps up the trilogy wonderfully. I don’t care who you are, if you’re not moved or well up at the end of the movie, I have doubts about you. As I said earlier, Brave is a beautiful movie. The music is beautiful. Kelly Macdonald as the voice of Merida is great. The problem is the story….too much time is spent with “my Mom is a bear” and that part drags. This isn’t close…..Toy Story 3 gets the vote. Finding Nemo vs. Monsters, Inc. I really like both of these movies. Both are enjoyable and both are wonderfully done. Great animation and great stories and plots. This comes down to two characters Marlin from Finding Nemo and Boo from Monsters, Inc. I’m not a fan of Albert Brooks and after awhile the Marlin character gets annoying. Boo….is cute. In fact, when my daughter was two or three we liked to call her Boo because she reminded us of the character. Boo wins. Okay, I didn’t say much about Toy Story earlier because not much needed to be said. Toy Story started it all. We wouldn’t even be having this tournament if this movie hadn’t worked and been a success. Twenty-two years later this movie still holds up. Like the battle earlier with Toy Story 2, The Incredibles is still a more fun movie for me. I love both movies. Both movies are in my Top 5 of Pixar movies. Elasti-Girl stretches for a photo finish here. As I mentioned earlier, I thought Inside Out was only an okay movie. So it comes down to rats that Pixar made me care about or characters that they didn’t make me care about….rats win. Both of these movies are among my favorites of Pixar movies. I just like WALL-E better. Toy Story 3 vs. Monsters, Inc.
Another match up of my Pixar favorites. I will watch and have watched either of these movies when ever they’re on. I really like both of them. They are both well done. The emotional ending of Toy Story 3 gives it the edge. Have I mentioned how much I really like The Incredibles? As mentioned earlier, I also really like Ratatouille but we’re talking Superheroes against a cooking rat. Both really good movie, but Dash crosses the finish line first. Both of these movies are great movies. I’m not sure I can add much to what I’ve already said. Robots vs. toys…..robots win. Can we give the trophy to both? No? I seriously cannot wait until the sequel to The Incredibles comes out. Why? Because I love this movie. I love the Parr family and I love the villains. WALL-E is a great movie too, but when I’m looking for my super-suit because the world is in danger….I’m going with the supers. I hope you enjoyed this tournament. Now for my ranking of Pixar movies. I will admit that after listening to the show and doing my own bracket the ranking of some of my movies have moved. Please note (as mentioned above) I have not seen Coco, so it’s ranking is purely based on what I’ve read and heard. Listening to the show that this article has been based on was very thought provoking as was writing this article. I really had to re-think about what I thought of the movies and how I had them ranked. How do you have the Pixar movies ranked? Did you do your own tournament? That’s it for today. See you next time.